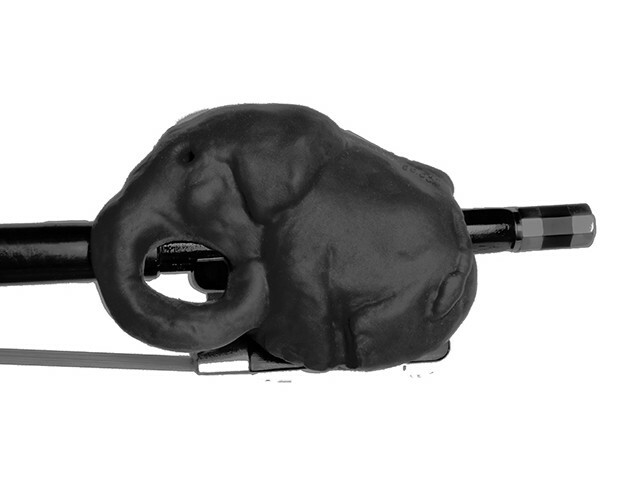 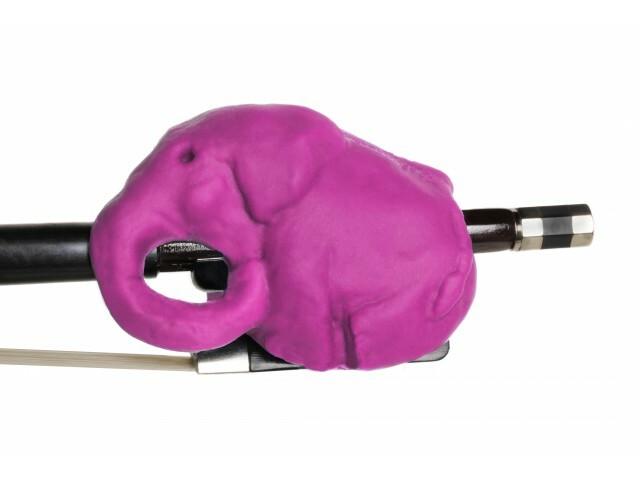 Ergonomic elephant for cello beginners. 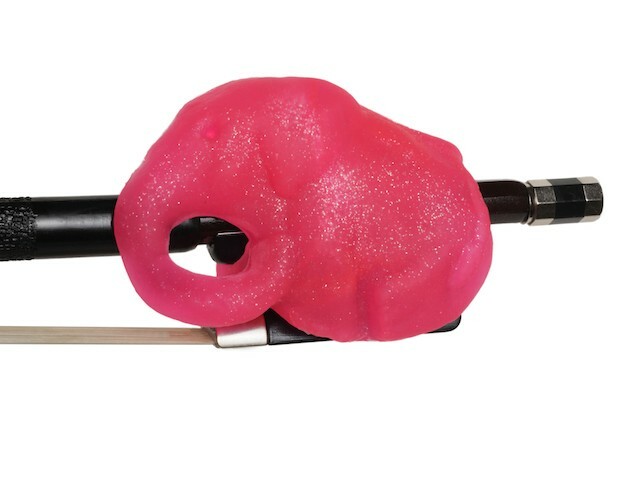 The Cellophant bow accessory instantly positions and supports the fingers of the bow hold! 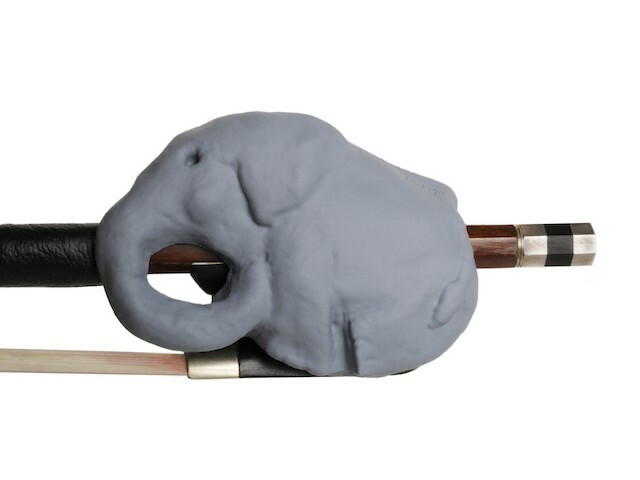 The various anatomical features of the elephant, such as toenails and legs, allow the cellist to feel reference points, for consistent bow holds from practice to practice. The size of the Cellophant accessory allows an open, relaxed hand, and the circle of the elephant's trunk directs a flexible thumb toward the intersection of the frog and stick, with alternate placements if desired.